The Grave Tender opens on a note of tension that underscores the full plot. Eliza Maxwell's psychological suspense novel explores the dark consequences of family secrets as a young woman comes home to face the past. Hadley Dixon didn't have an ideal home life; her mother was mentally ill and her uncle was the town freak. This complex story gives insight on Hadley's childhood as she viewed it. Further in the story readers are privy to the reality of her childhood as secrets are uncovered and the truth comes to light. The secrets unearthed change everything she thought about her family including her grandmother and father, the two she loved the most. The Grave Tender's unique narration and dark themes make this a story best read in one sitting. I couldn't take my eyes off the pages because of how quickly the story escalated. It's so easy to become absorbed in knowing the dark secrets that lie in Hadley's past. They affect so many of the characters in the story that you have to keep reading to see the full scope. 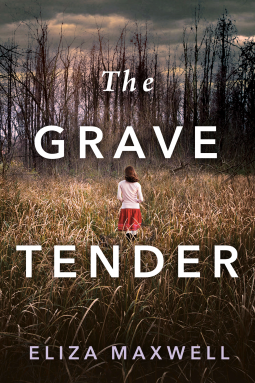 The Grave Tender's thought-provoking conclusion will stay with you long after you've finished. This is a story I won't soon forget!